Down Memory Lane : Gone Forever? 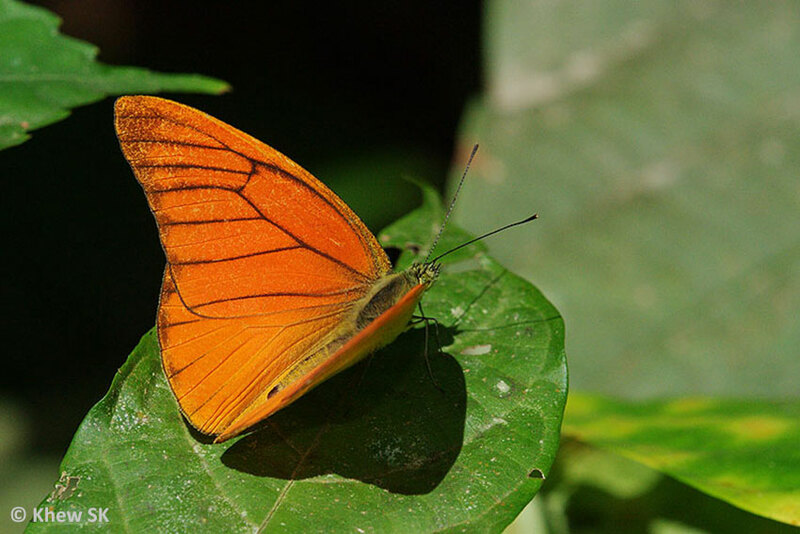 This new weekday short article series features some butterfly species that were previously recorded in checklists of the early authors who collected in Singapore from the 50's through to the 70's. 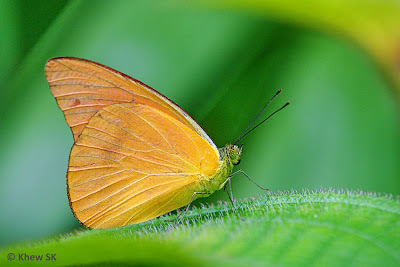 Two main references of the species found in Singapore during that era were "Butterflies of the Malay Peninsula by Corbet & Pendlebury 4th Edition, revised by Col John Eliot" and "Butterflies of West Malaysia and Singapore by W.A. Fleming". The latter author's collection of nearly 9,000 specimens is now nestled in the good hands of Raffles Museum of Biodiversity Research. See the story of the collection arriving in Singapore here. The first species in this series is the Orange Albatross (Appias nero figulina). Recorded in Singapore in the 70's, the Orange Albatross has not been seen since. 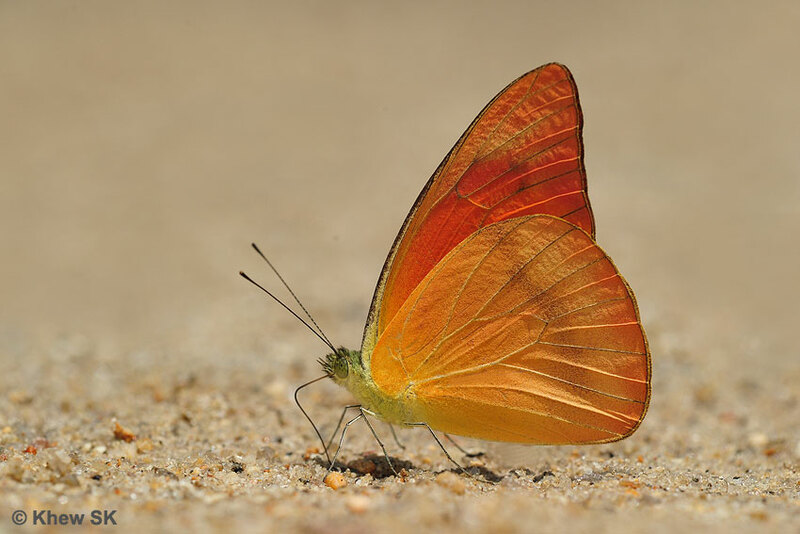 Veteran butterfly expert Steven Neo recalls this species flying around in the "kampung areas" during his younger butterfly-chasing days. The butterfly is dark orange above with prominent black veins on both wings, whilst the underside is a light yellowish orange. 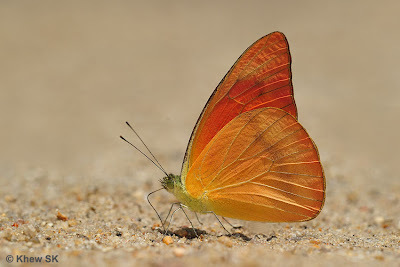 Males of the Orange Albatross can sometimes be common in Malaysia during the months of March to June and found puddling on sandy streambanks in the company of other Papilionidae and Pieridae. Will we ever see this orange beauty in Singapore again? Or will it remain only in our memories and is gone forever from Singapore?